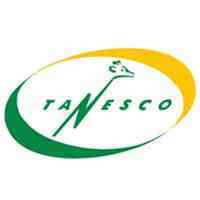 Home Ajira Serikalini AJIRA TANZANIA Government Jobs JOBS JOBS TANZANIA TANESCO 197 New Job Opportunities at Tanzania Electric Supply Company Ltd (TANESCO) Central Zone | Deadline: 15th April, 2019. 197 New Job Opportunities at Tanzania Electric Supply Company Ltd (TANESCO) Central Zone | Deadline: 15th April, 2019. Jobs in Tanzania 2019: New Job Opportunities at Tanzania Electric Supply Company Ltd (TANESCO) Central Zone | Deadline: 15th April, 2019. The Tanzania Electric Supply Company (TANESCO) is focusing on increasing the outreach and service quality of its Energy products for Tanzanian people. Next to its current passion as a leading provider of electricity is to be more efficient customer focused utility for Tanzania and beyond. The Company has the largest electricity generation, transmission and distribution network in Tanzania. In order to reach its goals, the Company will, in the coming years invest heavily in its generation, transmission and distribution network, its business systems and human capital. ❖ Be capable of delivering excellent results while working under pressure with tight deadlines. WORKSTATIONS: DODOMA (4) ,MOROGORO ( 2) SINGIDA ( 2). Responsible for budgeting and accounting functions in the Zones and Regions. k) To assist in preparing the regional budget and maintain effective Budget control to ensure there are no over expenditure. ▪ CPA (T) is a must. ▪ One year working experience. REPORTING OFFICE: DODOMA(7), MOROGORO (5) AND SINGIDA (4 ) REGIONS . Assisting Accountant in all financial activities, including originating cheque and cash payments, banking issues, budgeting control and monitoring, revenue collection, cash withdraws, final account preparations and report writing. j) To perform any other related duty as may be assigned by Supervisor. ▪ Diploma in Accountancy, Finance or any equivalent from a recognized learning institution. ▪ Secondary Education Certificate (Form IV or VI). REPORTING OFFICE: DODOMA (35) , MOROGORO (25) AND SINGIDA (15) REGIONS . Responsible for Construction, Maintenance and Emergency works in the Region/District. b) Excavates holes for poles erection to ensure they excavated according to the company standards and measurements. c) Strings electrical conductors to distribution lines in a proper manner based on Engineering Instructions and Safety Rules. customers’ safety to their lives and properties from being endangered by power supplied. e) Attending both reported and unreported temporarily breakdowns immediately without any delays so as to ensure customers have constant power supply. • One year working experience. Driving company vehicles, and carry out other vehicles operation as instructed by procurement and transport officer in support of the company’s business operations. a) To drive company vehicles to support various business operations of the region. ▪ Certificate in Driving issued by NIT, VETA or any other recognized institution. ▪ Certificate of Secondary Education (Form IV/VI). ▪ One year working experience of driving from the reputable organization. REPORTING OFFICE: DODOMA(4), MOROGORO (2)AND SINGIDA (2) REGIONS . Responsible for receiving, issuing and recording materials in the regional store to ensure store balance is maintained all the time. e) To carry-out Local Purchase Order to ensure that items purchased satisfy business needs and the company achieve value of money. ▪ Ordinary Diploma in Material and Logistic Management, Procurement or equivalent. ▪ Certificate of Secondary Education (Form IV or VI). REPORTING OFFICE: DODOMA (2), MOROGORO (5) REGIONS . resolving Simple service and insuring that call Centre activities run smoothly. ▪ Certificate in Marketing , Public Relations or equivalent from any recognized institution. ▪ Certificate of Basic Computer Application. Implements marketing, customer services strategy, guidelines and provide administrative support to ensure marketing, communication and customer service functions are rendered effectively to attain customer satisfaction and delight in the District. a) Coordinate and supervise operation of “One Stop Shop Centre” of the district and ensure all services are offered as per customer Service manners, rules and regulations. b) Establish and maintain customers’ database of the district as per customer’s distribution network feeders or wards. d) Assist on formulation of strategies for networking and maintaining relationship with customers in order to determine problems they encounter and recommend cause of actions to management. e) Design and prepare programs, promotions and awareness campaigns on new businesses opening and services within the district. f) Supports the role of implementing corporate branding, core values and cultural transformation. g) Prepare daily, weekly and monthly report on customer services for the district. h) Facilitate the implementation of “Corporate Customer Service Charter” in the district and ensure its compliance. ▪ Bachelor Degree in Public Relations, Marketing, Business Administration or Mass Communication from a recognized College/University. ▪ Secondary School Certificates – Form IV and/or VI. Implements all scheduled activities and work plans including, construction and maintenance of distribution networks effectively and efficiently. a) Construct and maintain distribution lines network in accordance with the company procedures and standards to ensure access to electricity is maximized. b) Inspect customers’ installations to ensure standards set for safety and quality of installations are met and security of supply is guaranteed. c) Assist supervisor/engineer in preparing short & long term plans construction/maintenance schedules for expansion of distribution network to increase the pace of electrification. d) Closely monitor load growth on secondary sub-station through periodic measurement to ensure that distribution lines and equipment’s are not overloaded. e) To conduct routine inspection of distribution lines and perform preventative and corrective maintenance to ensure continuity of supply to customers is maintained. f) Record periodic electrical testing, and recommends or initiates modification or replacement of equipment which fails to meet acceptable operating standards. ▪ Secondary School Certificates – Form IV /VI. ▪ A driving licence class C, C1, C2 and E will be an added advantage. An attractive compensation package will be offered to the successful candidates. Assist in supporting Business systems and maintenance of all ICT equipment and the provision of technical advice and support for ICT related activities in the Region/Districts. a) Administering and maintaining corporate infrastructure, including network connectivity, Internet access, email, etc. d) Assists with the maintenance of the telephone system, including telephone switches. e) Assists with the creation of new hire telephone and voicemail extensions, routing extensions to appropriate locations and. f) Assists in supporting corporate applications; user desktops, etc. g) Assists with basic troubleshooting, and backup. h) Help in installation and improving computer software and network equipment. i) Help in installation of antivirus software. j) Help in implementation of database, application and operating system service packs and patches. k) Help in creation of network and email accounts for new users. l) Set ups of computers for new users and ensures delivery of equipment to users in different locations if necessary. m) Updates company phone lists and email address books. n) Keeps the ICT Assets inventory lists and ensures it is up to date. Keeps & maintains hardware maintenance schedules and due dates. o) Carries out maintenance operations for ICT Assets. Assist to ensure that Fleet Management in the Company is professionally managed and monitored and value for money is maintained. a) Assist Transport Information Management System (TIMS) to facilitate transport activities. b) Inspect motor vehicles/cycles before and after repair and maintenance by service providers in order to ensure there is always value for money..
c) Ensure vehicles are well maintained and kept (clean) all the time and maintain discipline of drivers. d) Attend repair and maintenance requests for company motor vehicles so that their optimally utilized to support the business. e) Making sure that all transport fleet vehicles are properly maintained and serviced, keeping road base up to date. f) Assist to compile and prepare monthly, quarterly and annual repair and maintenance progress reports from the districts and submit the same to the Management. g) Assist to ensure timely renewal of Motor vehicles Insurance and Road License are renewed on time. i) Enhance safety matters in the section to ensure safety to employees, customers and equipment. ➢ Diploma in Automobile Engineering from reputable Institution..
• Qualified and interested candidate may apply by sending a detailed application letter clearly stating why you should be considered for the position and how you will add value to the company. • All Applications must be accompanied with a detailed curriculum vitae, copies of relevant certificates, testimonials and contacts of three referees. • Application letters should clearly state the candidate’s name, secondary examination index number and year of examination appearing in the attached academic certificates. ❖ Applicants must include reliable phone numbers for effective communication. ❖ All Applicants who will not be invited for an interview should consider themselves unsuccessful. ❖ Please note that phone calls or any kind of soliciting for these positions by applicants or relatives will automatically lead to disqualification. ❖ Never pay to have your application considered. Any call requesting payment for any reason is a scam. If you are requested to make payment for any reason please contact our Communication Office through 022-2451130/38, [email protected].co.tz or communications. [email protected].co.tz.